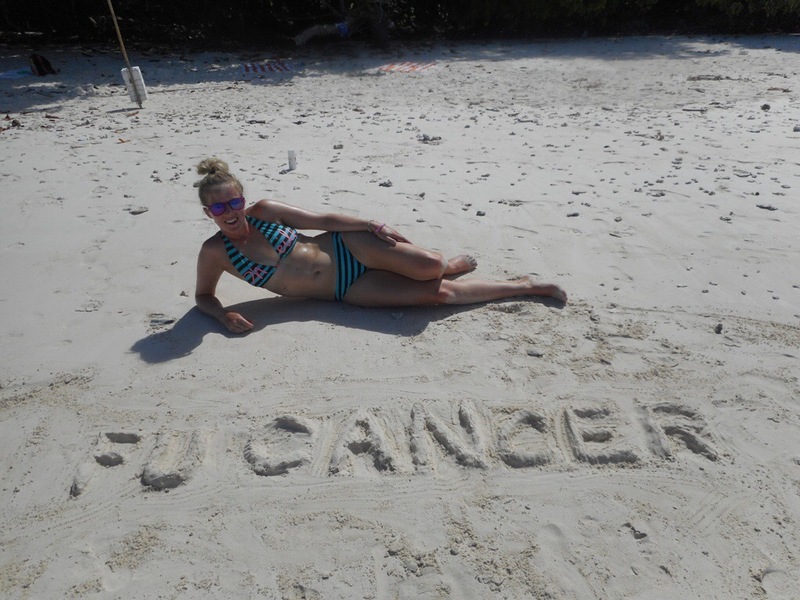 Initially FUCANCER was my polite way of telling cancer to F*CK OFF! However, it has also come to mean Friends United against Cancer. Over the years I have met far too many people who have been touched by this evil disease so it is important we realize we are not alone, and together we are bigger than cancer. I am Heather – fitness fan, hockey playing Welsh-weegie – born in Glasgow, Scotland with a family full of Welsh people. I live on the outskirts of Edinburgh with the Funny Boy (my husband) and our sausage shaped sidekick, Parsnip! I am also a cancer survivor, fighter and warrior! What is my cancer story? On the 8th of April 2014 I woke up to live the day like any other. I was 27, working in a job I loved and surrounded by friends and family. By the time the sun came to set my life took an unexpected turn: I was diagnosed with cervical cancer. Life as I knew it was gone forever. After an initial prognosis of 2 years I defied all odds and was declared ‘in remission’ 6 months after diagnosis. After several years of adapting to my new normality which brought a whole host of challenges and incredible experiences as I strived to live life to the full, I was diagnosed with a brain tumour in May 2018. I want to share my experiences of diagnosis, treatment itself and especially the challenges of living day-to-day with cancer. My aim is to maintain this blog so all FUCANCER fighters know they are not alone! I would like to raise awareness of cancer itself, the impact it can have upon people and their families and hopefully help others who have been affected. A good attitude makes all the difference. Good luck! your story. I can’t believe you are not more popular since you surely have the gift.